Drivers needed for KY Race! Hello everyone, I'm attempting to put together a team for NCM MOTORSPORTS PARK 8+7 Enduro (June 15-16) KY. We have a 95 Mustang GT that can hold corners well and has some balls! So far it's been at Harris Hill and MSR Houston and we're attempting to branch further out. Looking to get a group of guys out there that are eager to race all day and drink all night! If you're wanting to get some more seat time on the track without paying an arm and leg we're the guys to talk to! We have a stacker trailer(We also have room for sleeping in the stacker with AC), tools, some equipment that might fit so less rentals, radios, master tech. (who knows every inch of the car because he built the damn thing), and of course food and beer! Trying to get some solid guys locked down so we can guarantee to make it out there this year! PM me for details! God bless, Jakob Prater. 1996 Chumpcar Miata with enclosed trailer with full race team set up with just about all you need to go racing. Miata 1.8, Spec Miata suspension, Sabelt race seat, Spark suede steering wheel, Race Capture system, Cool Suit set up, in-car radio with PTT, OMP 6 point harness, Helmet air, F1 style rain light, Mishimomo aluminum radio, 3 point extinguisher, 2 set of wheels and tires. Under 500 point car. The Trailer is a Pace Rally RT 24 enclosed with torsion suspension with new tires and wheels. AC, generator, refridgerator, side awning system, pop-up tent, rolling tool box, helmet drier, Pit Radio system with headsets, torsion hitch, power jack and more. Here is a full team set up ready to race.$12,500 for the set. Call 954-914-5038 or email to shelbygs@aol.com with Miata Chumpcar in subject line. minnesota Anyone want to start a team in SE Minnesota? Anyone interested in starting a team in SE Minnesota? I live in Rochester MN, and have noticed a distinct lack of teams in the general surrounding area. I think it's time to fix that. Who's interested in helping me fix such a tradgedy? Looking forward to hearing from you guys, Joseph B. Straight story... There are 3 of us in total. Myself (team owner), another out of town driver when it suits him and a excellent mechanic/Race Engineer (driver sometimes). All good people. I have two cars. Both cars raced in Chump and one in AER. Both cars need work to be ready to run. I also have all pit equipment, trailers, trucks etc. Safety is top priority and I require a HANS or equivalent. I have spares also. Cars are or will be equipped with Cool suit cooling and additional safety gear. I have other drivers at times but only based on their available funds and rarely can I count on them. This makes planning very difficult. This makes finances very difficult on me. I love doing this. I want more. But I cant do it alone. This is an excellent opportunity for the right people to step into a team that spends the right money in the right places. All you need to do is help pay for race expenses, fix, and drive. I'm looking to put together a proper team for 2015 to do local NE tracks: Watkins Glen, Lime Rock, Maybe Canada, OH and or VIR. Maybe more. We are open to anything...there have been discussions of Pikes Peak and even the Salt Flats...who knows. Please know that this will require an honest open relationship, MONEY, more Money, sometimes alcohol, TIME, more TIME and it will pissoff your wife. Just ask mine. It will not be my decision alone. So send me your information if your interested. And or ask questions. "The Beard"
Need 1 possibly 2 drivers for Watkins Glen!!! Hi guys, I need 1 possibly 2 drivers for Watkins Glen in November. Baller Team Racing in a 1987 CR-X Si. The fee is $800 per driver and the car is very competitive! Please let me know asap- Steve- 203-605-0965 or djsteviec1@gmail.com We are going to get rooms, and just split the cost of the rooms. I removed the rear adjustable shocks, and now will have 1 or zero penalty laps. Hi all, I am brand new to racing. Know a decent amount about cars: have repaired most things but don't remove engines or anything like that. I am aiming to buy an old Honda and start fitting it for racing, I have a goal to make Road Atlanta in 2015. 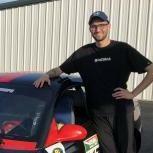 I have also volunteered for the November Atlanta Motorsports event. I am looking for a nearby team that is willing to take a new team member under their wings. I am serious about getting on the track within a year. Thanks! Toronto East - Team members needed! I am looking for team members or people interested in renting a seat in the north region races. I have a 93 Acura Integra GSR that I would like to get ready for racing. If there is interested people in helping to prep, or race the car please message me. Toronto East, Oshawa area team needed. Hey, I have a 93 Inegra GSR that I would like to get ready for Chumpcar. 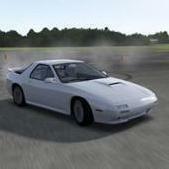 I am looking for at least 3 other team members who are interested in working on cars, racing, or both. The amount of time needed is up to you. I am an enthusiast looking to get some experience and have fun. If your interested in talking further about starting a team together send me a message. Thanks, Nightrider 24/7 Jamie. Due to unforeseen circumstances (There was an earthquake, a terrible flood, locust's. It wasn't our fault!! ), Team STD is not going to be able to make the upcoming Hallett event. Did you procrastinate and now registration is closed? Buy our spot! We put the $250 deposit down. Heck, we're desperate so we'll take $100 if anyone is interested. Do most of you own the car as 1 person and a few regulars help out and pay their dues, and/or sell seat time? do you split everything on the car 4 ways? any ideas of whats the best way to do it? anyone have god point or bad points of doing it both ways. I am looking at starting up a team and trying to work out the logistics and what may be the best way to do everything, I've learned alot so far from you guys!! and enjoying all the race reports, hope to see you out there soon. Update: BIG PRICE DROP! i just got laid off 40 minutes ago, so I'd really like to get rid of this car now. Let my life sucking make yours better! Prices are firm. $3500 for the car and trailer, $3000 for everything, except the trailer. For an extra $200 (to cover gas money) I can drive it down to the nearest border crossing. The thing still runs great, there are a total of 4 sets of tires (1 almost new set of falkens, 1 half used set, 1 new set of rain tires, and a shop set). 1 spare engine(plus extra parts from a blown one), 1 spare transmission. Basically enough spare parts to almost build a 2nd car except the chassis to do it in. Please people, help me out here! Iâ€™m selling my ChumpCar complete with everything youâ€™ll need. I just donâ€™t have the time to run a team anymore. The car just ran a track day and performed flawlessly. Sale comes complete with all AIV documentation, log book, trailer, two fast fill fuel jugs + 1 jerry can, spare tires (2 decent sets of Falkens, 1 set of Sumitomo HTR200â€™s for rain [yet to be raced on], and one shop set). Can be a top ten car if you can get some top ten drivers. 1992 BMW 325i Sedan(E36 chassis) Rebuilt engine (1995-M50TUB25-Vanos): ARP Head studs, new head gasket, resealed engine, valves re-seated, new water pump (metal), alternator replaced, AC delete, new belt idler assembly, power steering pump replaced, new oil pump, new fuel injectors, aluminum thermostat housing 6 point roll cage 5 point harness, Latch Link Style with clip in ends Starter has captured nuts for easier removal. quick disconnect steering wheel (hex hub) New Clutch aug last year driver seat on adjustable rails with quick move seat back support window net E-Brake system completely removed Braided Steel Brake lines New Hard Brake lines on the back half of the car. Defroster still installed for those rainy races Brake Ducting custom HD rad shrouding Cold Air Intake Cut Stock springs Turner Motorsports Wheel Studs (2 spares included) Aftermarket â€œM3 styleâ€ front bumper (stock bumper also included, but it is damaged) newer rad Fresh EBC yellowstuff pads Rear differential oil has been changed Feb this year Engine coolant flush fitting installed (garden hose hookup) reinforced rear subframe mounts reinforced rear trailing arm bushing mounts. cleaned and painted rear subframe changed rear lower control arm outboard bushings Aluminum Bushings on front lower control arms Snowboard rear wing with custom brackets (really does make some downforce) Fresh Fuel vent line on gas tank 2 sets of standard headlights God Pod headlight: Dual Xenon projectors with driver adjustable tilt from the cabin. Slimer themed Paint Job and vinyl graphics built in adjustable camera mount Comm System/stereo system, uses headphone jack to connect with Radio/phone/ipod (nice on track days when you can have some tunes going) good windshield, no cracks Included/Spares: 5 layer MLS Cometic head gasket ready to install Log book and all AIV documentation. (penalty lap free) full set of rebuilt spare injectors included + 12 OEM injectors Water Pump 4 sets of wheels and tires - 2 sets of decent falkens (previously mentioned) extra kirkey racing seat with full 5 point harness, for passenger seat. Can be removed and installed in 5 min for HPDE days. Radiator most of a spare rear subframe Spare Differential front hubs, shocks, Springs front and rear calipers drive shaft 2nd Motor. Stock head gasket and headbolts - NON-Vanos (1992 M50B25). Full wiring harness and ECU for spare motor Spare Transmission (Trans needs 3rd gear synchro) Extra Intake and Exhaust Manifolds Spare exhaust system components All the original window glass, can be used for Lexan window templates Home built Trailer - Included New tires in 2009, not even 5000km on them yet 2â€ Ball built in trailer lights New fenders. Appropriate Tie Down Straps for Car Cons: -Shifting linkage is sloppy, and should to be addressed. As long as you arenâ€™t slamming it through the gears it will behave fine, and you wonâ€™t miss a shift. Can be delivered ready to race anywhere between Toronto and Ottawa. Asking $3500firm. Feel free to PM me with any further inquiries. If you arenâ€™t interested please donâ€™t clog up my thread with random stuff, I know we chumps are very good at that..